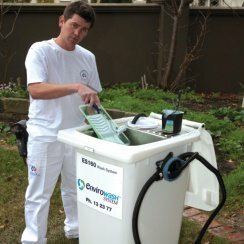 The EnviroSolutions EnviroWash system provides treatment of water-based paint wash out in an environmentally conscious manner. 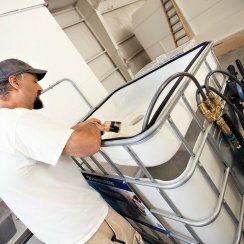 This wastewater paint treatment system turns paint wash-out from paint brushes and rollers into clean water and inert solid waste, allowing for easier and safer disposal. Large unit turns paint wash-out from brushes and rollers into clean water and inert solid waste. 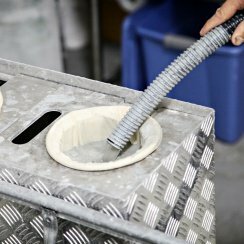 Smaller unit turns paint wash-out from brushes and rollers into clean water and inert solid waste. All the necessary parts to keep your unit in working order.